Obtain your personal trainer certification! Rock Creek Sports Club is proud to be the training ground for Move Well Fit Academy! Move Well Fit Academy has partnered with the National Academy of Sports Medicine (NASM) to provide training and education to aspiring fitness professionals in Washington, DC area who are seeking the Certified Personal Trainer (CPT) certification. This 80-hour, 8-week NASM CPT Prep Course will prepare one for this highly-regarded certification. Move Well Fit Academy is the only area personal training certification program that combines the certification program with an 80-hour prep course that includes weekly hands-on instruction. This hands-on instruction is what makes the difference between just reading the material in the book and truly understanding and experiencing the material. 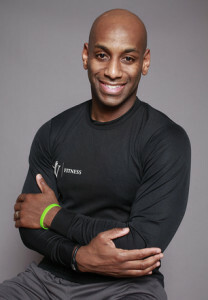 Move Well Fit Academy was founded by Maurice Williams, a highly respected personal trainer in the Washington, DC area. Maurice holds a Bachelor of Science degree in Exercise Science from Elon University and a Master of Science degree in Exercise Physiology and Adult Fitness from Ohio University. He has been in the fitness industry since 1996. The next class starts June 20th and runs until August 15th. There is an 80-hour course online that includes 16 to 24 hours of hands on learning at Rock Creek Sports Club every Friday from 2-4pm. Go to www.movewellfitacademy.com for more information and to register.